Are you ready to take your money to the next level? You might want to consider playing the stock market. The stock market can seem like a scary place, especially if you’re not familiar with the in’s and out’s of the trade. In fact, more than half of Americans refuse to play the stock market at all. But don’t let the insider lingo and long numbers scare you away. Investing in the stock market is a great passive income idea for those with some extra cash. The stock market offers great opportunities to invest in companies and get great returns. Here are the stock trading basics you need to know to get started. 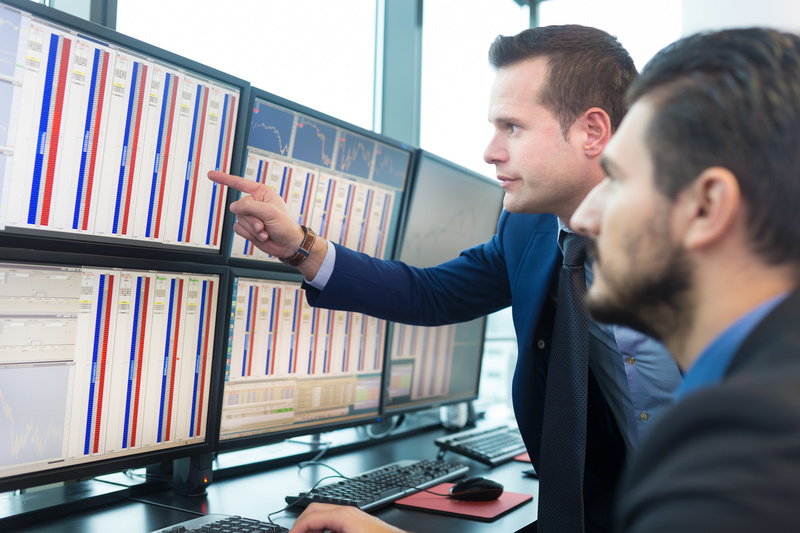 Before you trade stocks, it’s important to have a basic understanding of the stock market. The stock market is a group of major exchanges. You might be familiar with large exchanges like The New York Stock Exchange, Dow Jones, Nasdaq and the S&P 500. Buyers and sellers can exchange stocks or shares of publicly-traded companies. These exchanges influence the price of stocks, which will either rise or fall based on consumer behavior. There’s no shortage of price changes on the stock market. But what makes a share change in price? Consumer behavior may determine stock prices, but there are other factors that influence price. Projections, supply and demand, limited resources, and even political decisions can all impact the stock market. This makes the stock market hard to predict. Experts can predict a stock to rise or fall. But they aren’t exactly sure when that price change will develop. Stock prices may be hard to predict. But that doesn’t mean you have to trade stocks without a strategy. How do you know when to invest in the market? A good time to make purchases is when it’s a bull market. A bull market is when stock prices are on the rise. Generally, when stocks are rising by 20 percent or more the market is bullish. Bear markets, on the other hand, occur when stock prices fall by at least 20 percent. Because the market is cyclical, it’s important to invest before a bear market emerges. The stock market is not without its risks. But you can minimize those risks by diversifying your portfolio. A diversified portfolio is one of the most important stock trading basics. This means you invest in multiple stocks at once. This strategy will help you should one of your stocks suffer a loss. How can you diversify your portfolio? You can do extensive research on the markets. Alternatively, you can purchase an index fund. An index fund is a mutual fund with a portfolio that matches the market index. You can also trade stocks, make purchases, and diversify your portfolio using an online banker like Ally. Check out this Ally Invest review to see if it’s right for you. Are you looking to learn more about stock trading? We can help. Check out our money blog for information and knowledge about money and home economics for the Average Joe and Jane.